Watersport enthusiasts, whether expert or novices, can rent jet skis, kayaks and more for your perfect vacation adventure. Bone fishing in the flats, deep sea fishing excursions and boat tours can be arranged right on-site. 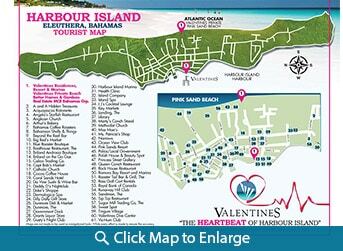 Valentines Dive Center is the perfect spot to arrange an exciting scuba-diving or snorkeling tour. 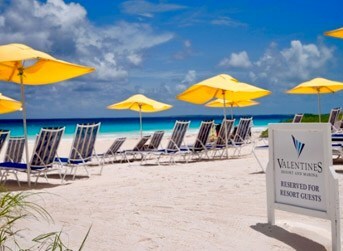 And our famed Pink-Sand Beach is an easy stroll for romantic picnics, relaxing and tanning, or fun with your kids. 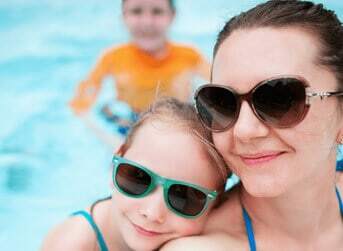 Family themed nights are fun for all, including children of all ages. Widely considered to be located on the most desirable stretch of Harbour Island’s famous Pink Sands beach, Valentines’ private beach is nothing short of paradise. Our new long stretch of boardwalk makes your short walk to the beach even easier. Our beautiful boardwalk not only makes the journey to the sand a breeze, but offers breathtaking views of the clear, turquoise water along the way. Our fresh-water swimming pool provides an attractive sun terrace with Balinese-style loungers, umbrellas and towels for all our guests. 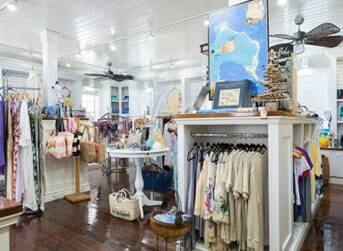 Calico Trading, our on-site fashion boutique and gift shoppe is a fully stocked with apparel, beachwear, bags, gifts and sundries. 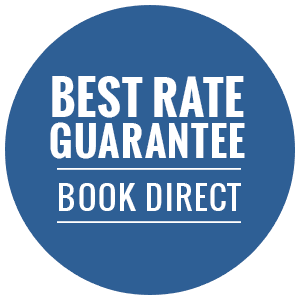 Here again you will be greeted with friendly faces and be given a gentle, helping hand selecting the perfect keepsake, the most appropriate gift…or special something just for you. 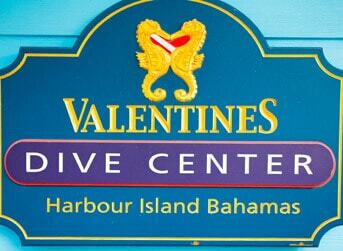 Valentines Dive Center is the leading PADI dive resort facility in the area. Whether you are an avid diver or just wish to explore the waters off Harbour Island for the first time, our Dive Center can accommodate your needs. Harbour Island is surrounded by exquisite coral reefs, grottos, underwater blow holes, wall and wreck dives, and high speed drift dives—overall some of the best diving in the world. We can also set you up with kayaks, paddleboards, small boat rentals or simply a cruise around the islands. Eco tours are available by request, blue hole dives, bat caves, sea horses, and so much more. 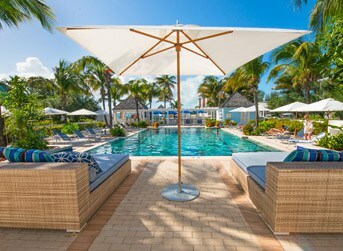 Valentines Resort & Marina is located in the heart of all the action on Harbour Island. We are less than a 10 minute walk from Pink Sand Beach – it’s just a short stroll across the island. All you could ask for in a perfect vacation is just moments away. Download a list of popular Harbour Island Golf Cart Rental providers. For more information about Valentines many amenities, download a flyer.